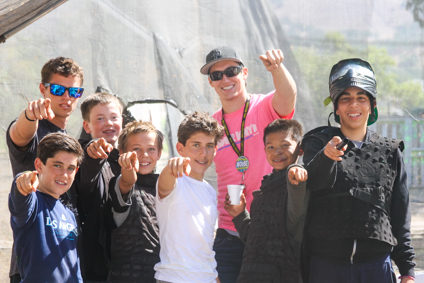 Do you want to be a part of one of the best overnight summer camps in California? Would you like to be a positive influence in the lives of children? Are you interested in helping us make the most memorable camp experience possible? 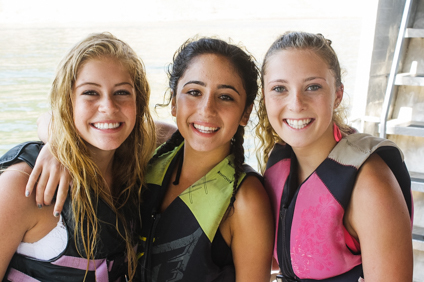 River Way Ranch Camp is inviting you to participate in our Counselor in Training Program (CIT). River Way’s training programs are well established and have an excellent reputation. For the past several decades our training programs have attracted teachers and administrators from throughout California’s school districts to our location for seminars, conferences and workshops. Combined with the fun, challenging environment of camp, each program has a specific focus and an emphasis on personal growth development. The programs are designed to enhance the opportunities for leadership, decision making, and responsibility while creating lifelong friendships and memories. If you are applying for the CIT Program you must submit an online application, complete three professional references, and submit the supplemental questionnaire. The CIT Program requires at least one telephone interview. You may strengthen your application by choosing to submit a 3 minute creative video to YouTube. It is not a requirement, but can only bolster your application. If you have any specific questions you may email them to Ashley@RiverWayRanchCamp.com. Thank you for your interest in our leadership program. With your CIT application a minimum deposit of $1000 is required. Submitting an application is not a guarantee of acceptance into the program. Accepted CIT’s will receive contracts confirming admission. CIT Program – 15 years old or entering the 10th grade. *Please make sure you understand the requirements for eligibility into the program.